The most popular size that allows Aaminah to paint a decent amount of detail to your pet portrait. 1 pet- head and neck in an A4 sized painting £895. A 50% deposit required to secure your place on the waiting list. To view our pet portrait terms and conditions, please click here. -A copy of the pet portrait form you filled in. – A copy of the Terms and Conditions. – The Do’s and Dont’s Guide to photographing your pet. 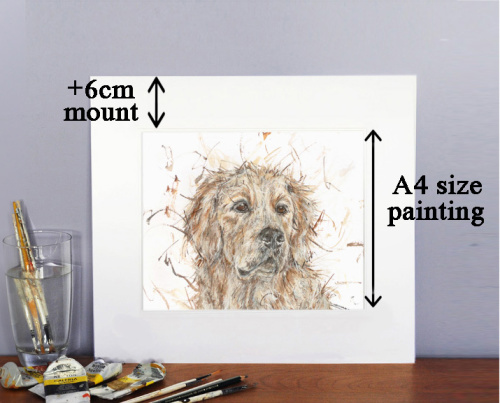 – A “Pet portrait process list” detailing what to expect between when you fill in the form to the completion and shipment of painting. – Payment Plan information and its T&C’s (if requested).